Are You Pregnant? What Next? As a teenager, discovering that you are pregnant may seem overwhelming. There are a number of decisions that must be made soon after you become aware of the situation. Will you proceed with the pregnancy and deliver the baby? Do you have the resources that are needed to care for a child? Is it better to give the baby to a family who is waiting to adopt? Plus, prenatal care should start immediately. You are now not only responsible for your own health, but also the heath of a child. 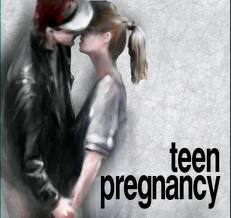 If you are pregnant teen, it is important to take responsibility and handle the situation in a mature manner. The first step is to confirm your pregnancy. One of the early signs of pregnancy is usually a missed period. Once you suspect that a baby may be on the way, a pregnancy test can be purchased at the drug or grocery store. In addition, doctors are able to perform a blood test that can confirm a pregnancy. Once you have determined that you are pregnant, it is time to come clean and tell your parents. Although they may have some strong feelings about the news, they ultimately have your best interests at heart. You will want their guidance when making decisions about the pregnancy. Plus, they will probably be able to assist you in getting the medical treatment that is needed. Pre-natal care is the care that the mother receives while she is expecting. It should begin in the first trimester, and consists of regular visits to the doctor to ensure the health of the mother and her unborn child. In addition, pre-natal care involves learning about pregnancy, eating healthy, taking a pre-natal vitamin, and exercise. It is important to schedule an appointment with a doctor as soon as possible. During your prenatal checkups, several tests will be performed. Your doctor will generally do a blood test to check your blood type, RhFactor, iron levels, and immunity to certain illnesses. In addition, a urinalysis checks for sugar and protein in your urine to determine if there are any problems with your blood sugar of kidneys. A vaginal exam is performed, and a PAP test is used to detect changes in the cervix. Doctor visits usually occur once a month for the first 6 months of the pregnancy and more frequently for the remainder. Overall, it is important to seek proper medical care and work with your family to make the decisions that will be best for you and your pregnancy.